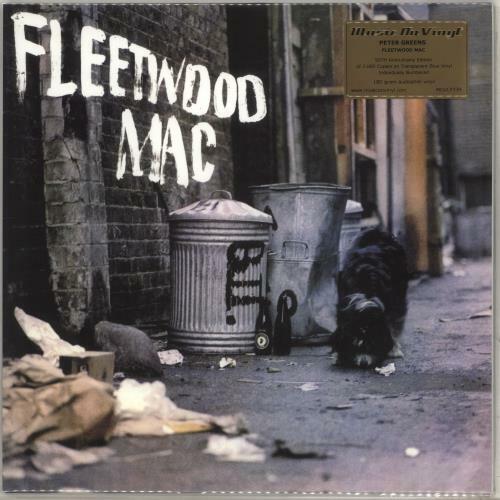 PETER GREEN'S FLEETWOOD MAC Peter Green's Fleetwood Mac (2018 UK Limited 50th Anniversary Edition 'Music On Vinyl' series issue of their 1968 debut album now pressed on Audiophile quality 180gram Blue Vinyl. In 1967 Peter Green, Mick Fleetwood and John McVie played in the legendary John Mayall & The Blues Breakers, and were given free studio time during which they recorded five songs. Peter Green was so convinced of this band's musical prowess that he formed it on the spot and named it after the drummer & the bass player. 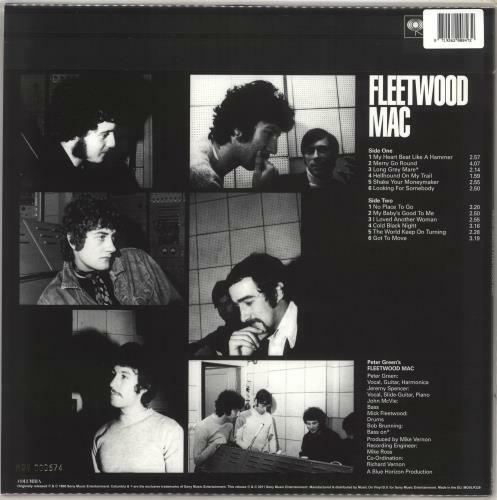 The vinyl is UNPLAYED housed in the picture sleeve which is gold number-embossed to the back and retains its hype-stickered resealable outer bag! MOVLP339).